Cavalry charges have proved to be one of the most efficient and devastating battle tactics in history. Even against vastly superior numbers cavalry charges have proved themselves to be dominant shock attack in warfare. It involves soldiers mounted on horseback to charge as quickly as they can into the enemies lines, and engaging in close combat. Armoured knights, and lighter mounted troops have been able to completely route enemy units in the past but it doesn’t always go well. If the unit being charged at stands firm and fortifies it’s position a charge will often fail, the horses may even refused to keep charging at the enemy. Cavalry charges are always a risk. This war was so bloody, and damaging on both sides that we don’t even know who won it. Napoleon took on the Russians after a string of victories had given him confidence. He had 75,000 soldiers under his command, and the Russian leader Bennigsen had almost the same. They clashed at a French village called Eylau, and both sides suffered heavy losses. Napoleon attempted a frontal assault early in the battle, which ended with calamitous results for Napoleon. Midway through the battle Napoleon was in grave danger. He was hold up in a church and had just barely escaped being captured. His centre wouldn’t last long, and it was only a matter of time before he was defeated unless he did something. Napoleon then ordered one of the most heroic cavalry charges in history. 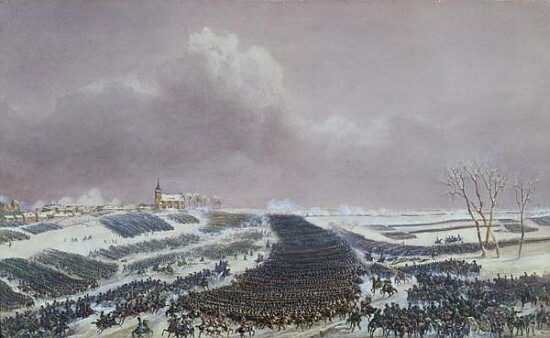 11,000 thousand French cavalry charge into the Russian army. They split into two groups, one called Grouchy’s Dragoons which flanked the enemy cavalry, and fought them back until enemy reinforcements made them retreat. This bought the French right enough time to attack, dealt serious damage to the Russian forces. With the Russian army close to destruction it looked as if victory was finally in Napoleon’s hands, but then reinforcements arrived and combated the French right, which saved them from collapse. This allowed the Russian’s to hang on until later that night when they reluctantly retreated. 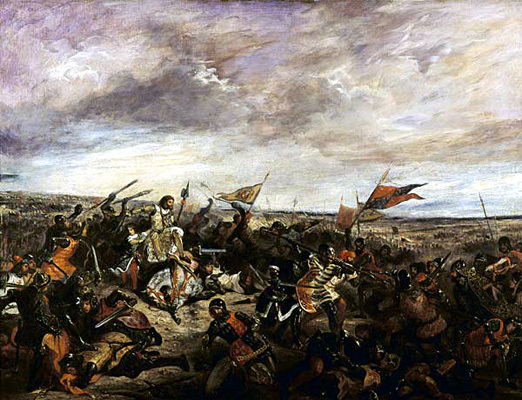 At the battle of Poitiers the French force, led by King John, got over excited and launched a cavalry charge on the English, led by the Black Prince. The French mistakenly thought the English were about to retreat and rushed in with 100 knights on horseback leading the charge. The English archers began to fire at the enemy but their arrows couldn’t do anything to their armour, so the archers changed position and attacked them from behind, this time aiming for their horses. The French forces were beaten back over and over, losing thousands of men. King John tried to withdraw and escape from the battle but the Black Prince ambushed him with a unit hidden in the woods. He captured king John, 17 lords, 13 counts, 5 viscounts, and 100 knights. Polish forces were completely outnumbered against the Tsarist Russian force. 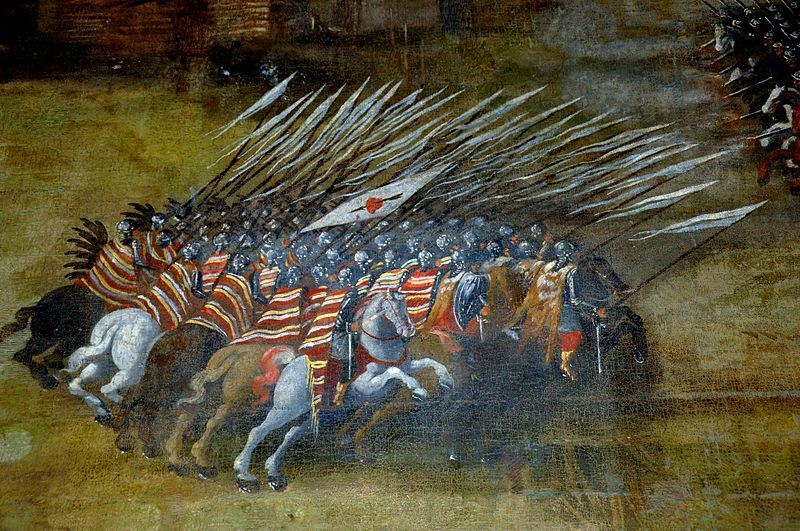 The Russian’s numbered 30,000 to 40,000 troops, the Polish only had 4,000 and they were almost entirely Cavalry. The polish cavalry force known as the Winged Hussars were one of the most elite cavalries in the world at the time, famous for wearing wings on their armour. This battle didn’t just have one cavalry charge, it had 10 cavalry charges which eventually whittled down the enemy forces. The battle started with the Winged Hussars making 8-10 cavalry charges on the enemy. The Polish broke the left flank, and destroyed the centre, leaving only the right flank, and some mercenaries on the left. The mercenaries were forced to abandon their position when reinforcements came, and eventually surrendered. 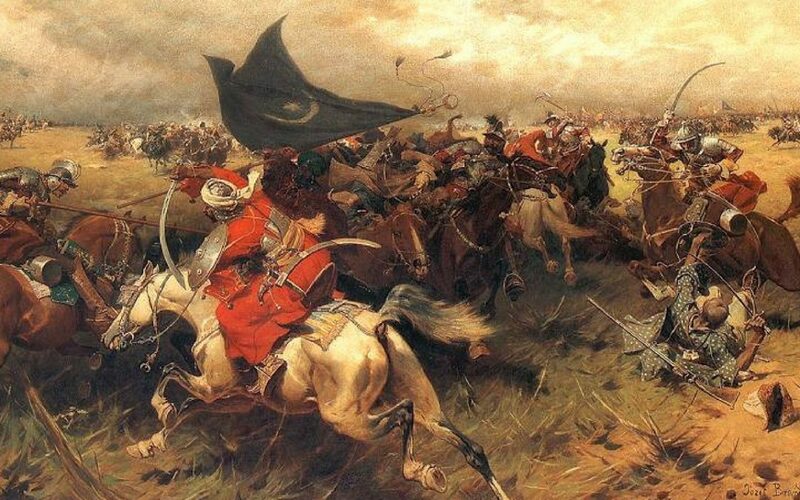 In one the largest cavalry charges in history, a coalition of Polish, Australian, and German cavalry spearheaded by 3,000 winged Hussars charged into the Ottoman lines. The battle took place in 1683, when the Imperial city of Vienna had been taken by the Ottoman Empire. 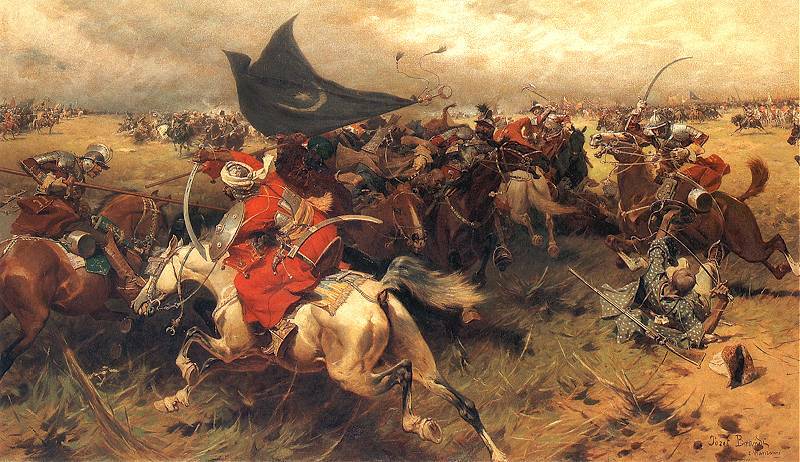 The Ottoman’s were losing the battle, and the Poles were preparing for a massive cavalry charge. The Ottoman’s tried to turn the situation around, and went on the offensive successfully taking two villages. This gave them an opportunity to attack the Turkish central position, and they were determined to take it. But before they could the Polish cavalry began to emerge from the forest, and battered the Turkish lines. The Ottoma’s were now surrounded and decided to retreat. The coalition was ready to finish them off, and put together one of the largest cavalry charges in history. This devastated the Ottoman’s and the coalition had won the battle. Alexander the Great led a small cavalry unit of 1,800 Greco-Macedonian companion cavalry, supported by brigades of hypaspists, and part of his phalanx, charged and broke through the centre of a massive army of 50,000 Persian warriors led by Emperor Darius III. Alexander used an uncommon strategy to do this. While his infantry kept the centre of the Persian army busy, Alexander rode to the end of the right flank with a cavalry unit. 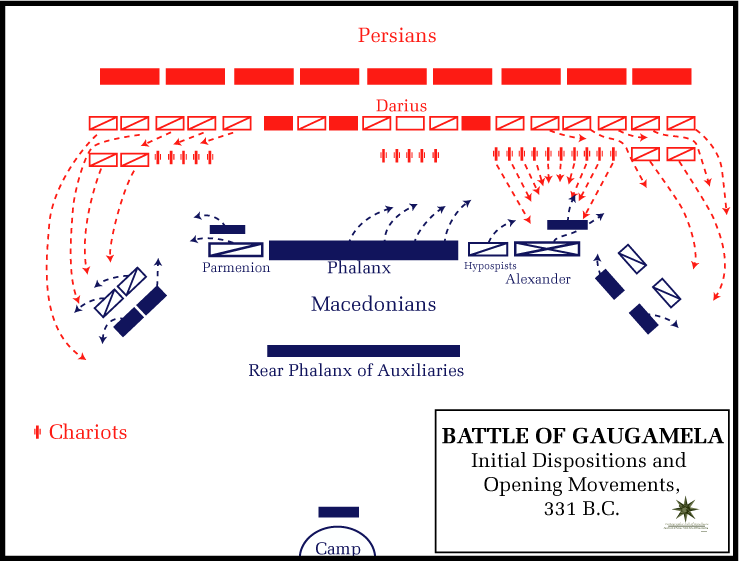 This led to an intense battle between Alexander’s cavalry, and the larger Persian cavalry. Even though he was outnumbered Alexander managed to defeat the enemy cavalry, this led to his most important move and he won the battle in the centre. After the centre was taken Darius ran for his life. It was one of the most successful cavalry charges of all time. This is famous for being one of the most destructive cavalry charges in history. The battle was between the Duke of Wellington’s Anglo-Portugese army, and Marshall Auguste Marmont’s French force. The British heavy cavalry consistently flanked the enemy forces. These attacks crushed the left wing of the French forces. The French launched a desperate counter attack on Wellington’s centre, which had been weakened. 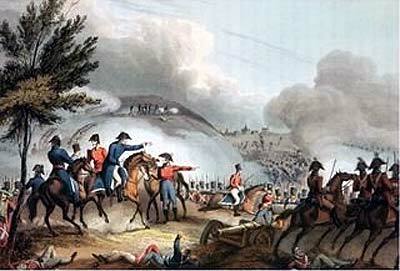 Wellington sent reinforcements to back up the centre, and the French attack ultimately failed. Wellington prevailed and the French were forced to retreat. 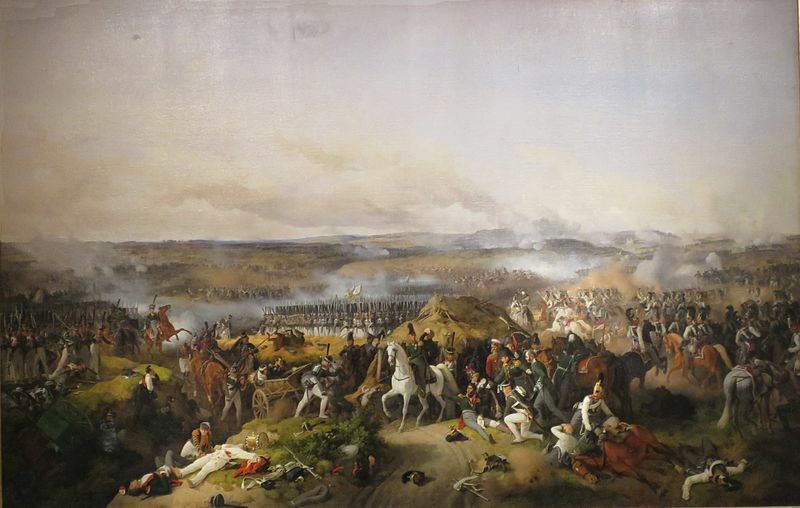 This battle was one of the bloodiest days of the Napoleonic wars. An allied cavalry force of French, German, and Polish regiments charged the centre of the Russian army. The Russian’s countered with a cavalry charge of their own. And the two cavalry charges led to all out battle between them. Both sides suffered thousands of deaths, and eventually the Russians retreated. It ended in a French tactical victory, but the cost was so severe it was tantamount to defeat. The Russian army failed to stop the advance of Napoleon onto Moscow, which he captured only a week later. Napoleon came close to conquering Russia but ultimately his invasion failed and he had to retreat. This is without a doubt one of the most heroic cavalry charged on this list. 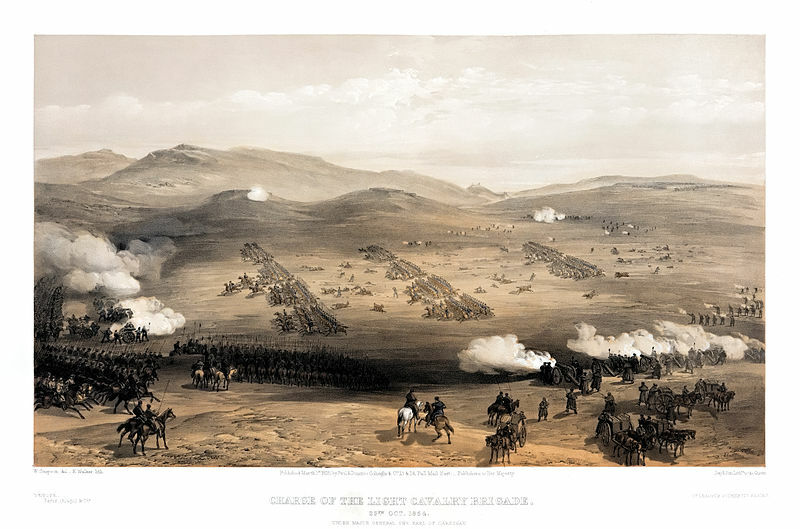 In the Crimean war at the Battle of Balaclava. A tiny force of 670 British light cavalry were accidentally ordered to charge into an army much larger than theirs with no chance of victory. The force led by Lord Cardigan courageously charged into the centre of the Russian, and succeeded in both breaking through as well as disengaging. They suffered heavy casualties as a result but it’s amazing that such a small force could do so much damage to such a large army. At the Third Battle of Winchester, the largest cavalry charge of the American civil war tool place. On September 19th, 1864 Confederate Lt. Gen. Jubal A. Early raided the B&O railroad at Martinsburg. Union Maj. Gen. Philip Sheridan led an army to defeat Early. The battle went on for hours, with severe casualties on both sides. The confederates were slowly losing ground. 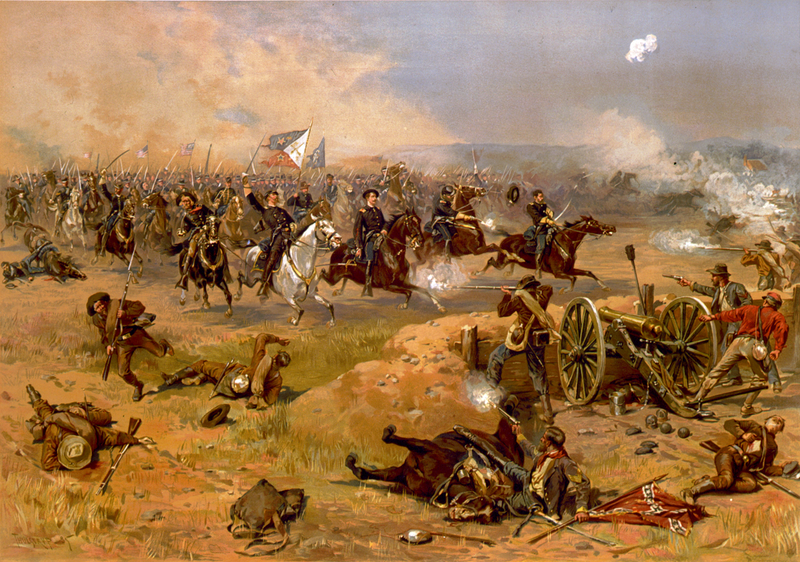 Sheridan orchestrated a final charge to end the battle. He organised cavalry charges to attack the confederates on both flanks. Although the journey there was tough, they eventually made it and crushed the enemy flanks due to the immense size of the charge the enemy was completely overwhelmed. Facing an army twice as numerous, General Herbert Kitchener managed to win the battle losing less than 50 people, and killing 12,000 opposing soldiers. It was a coalition of the United Kingdom and Egypt, vs Sudan, and although the British-Egyptian force had only 25,800 to Sudan’s 52,000, they still scored a decisive victory losing only 47 men, while killing 12,000, injuring 5,000, and capturing 5,000 of the enemies men. The battle started and Sudanese forces were completely decimated by the superior weapons of the coalition force. 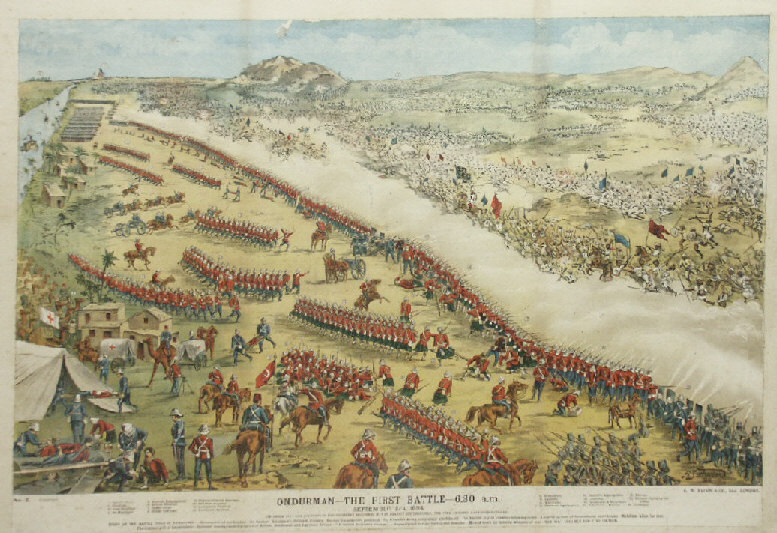 Sudanese spearmen charged straight into the gunfire of quick firing British artillery. Part way through the battle, the British light cavalry known as the 21st lancers was ordered to charge through a few hundred men and clear a path, but what they thought were only a few hundred men were actually over 2,000. Numbering only 400 strong the 21st lancers had a tough time of this, but heroically managed to push back the numerically superior force. One of the participants of this clash was Lieutenant Winston Churchill.